The great Manchester United and Northern Ireland attacker - one of the few sports personalities to merit the term 'iconic' - was almost always candid, lucid and self-effacing. Alcoholism had him in its grip from an early age, affecting the love affairs that fed the tabloid headlines, but there was far more to Best than booze and birds. In George Best: A Memoir, Michael Parkinson draws upon decades of award-winning journalistic experience to re-evaluate a remarkable footballer and a damaged friend. The book weaves together recollections of when the 'the fifth Beatle' ensured it was Manchester, not London or Liverpool, which made the Sixties swing; of Best enjoying a carefree kickabout with the Parkinsons' children in the family garden; and selected transcripts from their endlessly fascinating interviews. 'Where did it all go wrong?' is the punchline to a famous Best story. 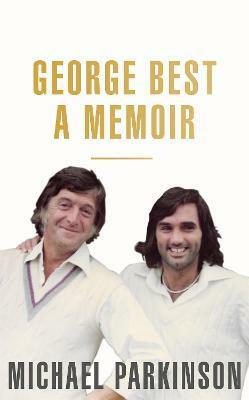 George Best: A Memoir provides Michael Parkinson's considered response to the question while bringing fresh insight into the footballing genius that made Best one of the immortals and the self-destructive side of his character.